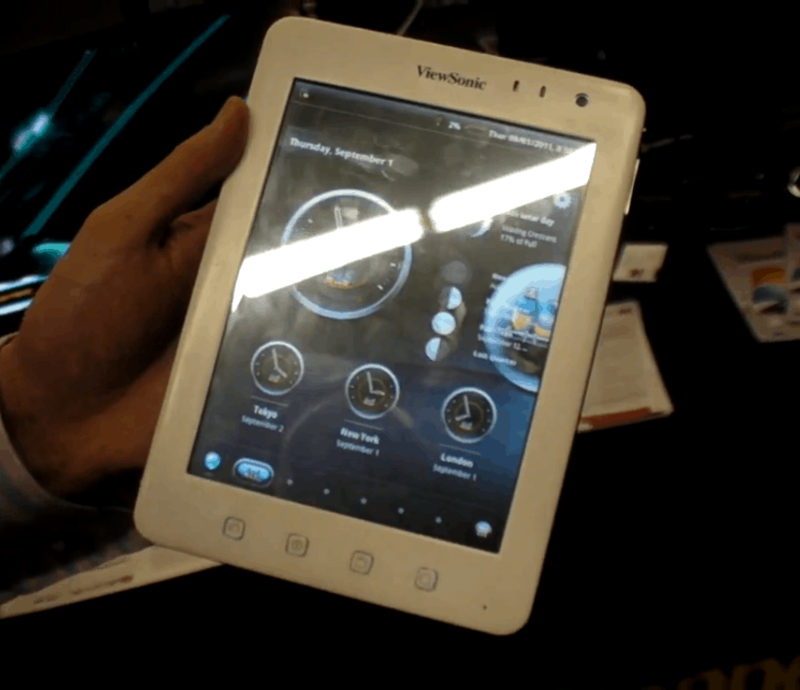 Charbax got some face time with ViewSonic 's new budget tablet, and his video confirmed a suspicion I had when I first caught sight of the device. The ViewPad 7e is running Android v2.3 Gingerbread on a 1GHz Samsung Cortex-A8 CPU.It has Wifi, a microSD card slot, 4GB Flash storage, 2 cameras, and it has HDMI out. The screen measures 7" across, and it looks liek the 7e might have something new for the touchscreen. The tech rep reports that the screen is not a capacitive touchscreen, but is a multi-touch resistive touchscreen. That's going to be fun to play with when it shows up in the US. Looking at the video, I'd say that it's actually running a custom interface on top of Gingerbread, and it's not clear if you can access the old menus. The similarity is actually a good sign; it means that anyone who wants the Nova will be able to get this tablet and have much the same experience. I have the Nova on my desk right now, and it's a pretty good tablet. But now that we know what the hardware is, it brings up a question. Is this tablet designed to compete with the NookColor?I would say no; the Nova is great but it is still a budget tablet. Retail in Europe will be 149 euros, and it should hit the market this fall. Good freaking god. I fondled the Nova in BB and was impressed for a *Pandigital* product. But hell, for a few bucks more, you can get a better tablet — NookColor or soon the AmTab. Why put up with resistive?